Used aluminum cans are piling up in scrap yards as the market for aluminum recyclables shrinks in size and profitability, The Wall Street Journal reports. Old aluminum cans are limited in what aluminum products they can be used in. Car and airplane manufacturers tend to stay away from using aluminum made from recycled cans. Aluminum producers are turning away from the used can market despite facing social pressure to embrace recycling, WSJ reports. The slowdown in recycling aluminum cans comes amid a downturn in the recycling market more broadly. Chinese tariffs and increased standards in recyclables’ purity have tanked the price of scrap paper and used plastic in the U.S.
China served as the hub of the recycling market for years, taking up to 70 percent of the world’s plastic waste before throttling down on plastic imports in 2018, according to NPR. No other country has the infrastructure and capacity to process recycled goods like China, and now trash is piling up in developed countries as they look for new buyers of used plastic, paper and aluminum. Prior to 2018, the U.S. took advantage of China’s massive market for recyclables. Chinese recycling companies were able to use cheap labor to sort through mounds of recycled materials to pick out the most profitable pieces, something U.S. recyclers could not afford. 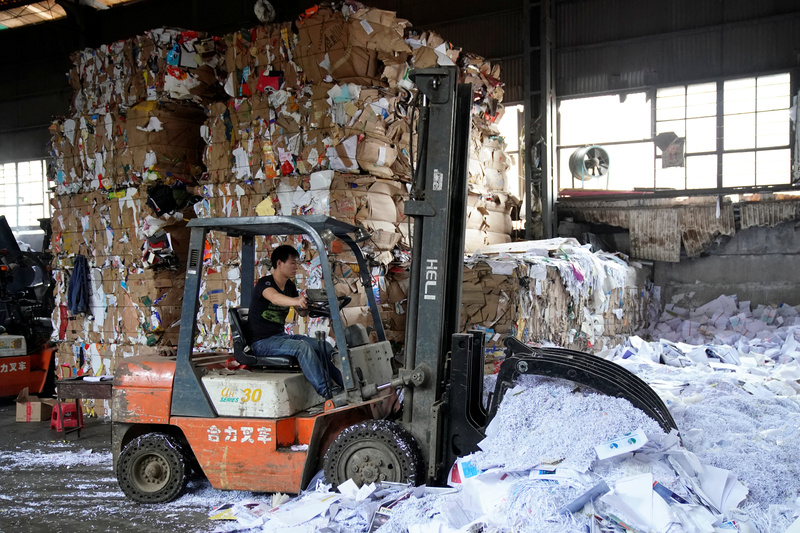 As U.S. companies sent more recyclables over to China, more junk became mixed in with recyclable material, eventually reaching a high of about 20 percent of used goods being worthless. In 2018, China set a standard of just 0.5 percent of worthless products allowed in each shipment of recyclables, a standard far too strict for American scrap companies to meet and maintain a profit, according to WSJ.